Ultimate Star Jennylyn Mercado is now sporting a shorter hairdo shortly after wrapping taping for her prime time series 'My Love From The Star' where she plays the role of Steffi Chavez. She unveiled her fresh and younger looking do through a story on her Instagram account. Could this be in preparation for an upcoming project? Her Metro Manila Film Festival 2017 movie entry perhaps? Or maybe Jennylyn just wanted to try out a new look. What do you think of Jennylyn's new hairstyle? Comment below. When you are a mom and working too, it may seem difficult to do so many things with so little time. But for Jennylyn Mercado she thanks Tough Mama for making her life simpler and easier. Tough Mama's wide range of affordable, safe, energy efficient, and easy to use home and kitchen appliances has made Jennylyn balance her life as an actress and performer, an entrepreneur, and a single mom with so much ease. Tough Mama is available in all leading department stores and appliance stores nationwide. Be a Tough Mama today like Jennylyn because nobody is tough like mama! Jennylyn Mercado scores a nomination at the PEP List Year 4 Editors' Choice. The Romantic Comedy Queen is nominated for the Female Movie Star of the Year award for her role as CJ in the hit Star Cinema box office film 'Just The 3 Of Us' opposite John Lloyd Cruz. The winners will be announced in the coming weeks. Good luck Jennylyn! 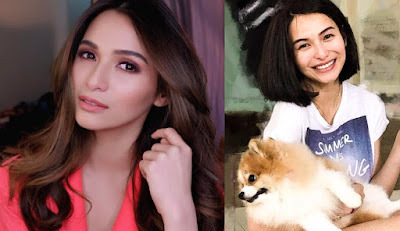 Ultimate Star Jennylyn Mercado once again makes the list of YES! Magazine's 100 Most Beautiful Stars. She joins her fellow A-list celebrities under the 'Prized Stars' category which includes John Lloyd Cruz, Angel Locsin, Sarah Geronimo, Judy Ann Santos, Anne Curtis, Piolo Pascual, Jericho Rosales, and Dennis Trillo to name a few. Tagged as a RomCom royalty after a string of hit box office romantic comedy films, Jennylyn currently stars in the local adaptation of the hit Korean series 'My Love From The Star' airing weeknights on GMA Telebabad. She is also set to work on two new films one that is directed by award-winning director Erik Matti and the other 'Almost Is Not Enough', an official entry to the 2017 Metro Film Festival where she reunites with her #WalangForever leading man and director, Jericho Rosales and Dan Villegas respectively. LOOK: Carla Abellana to Jennylyn Mercado: "Marami kang pinapatawa gabi-gabi at isa na ako dun!" 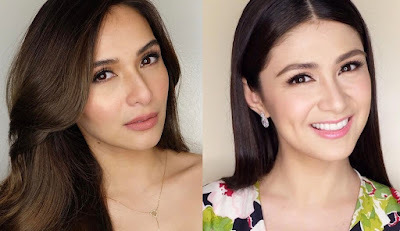 I Heart Davao star Carla Abellana shared on her Instagram how entertained she is of her fellow Kapuso Jennylyn Mercado who plays the role of Steffi in the local adaptation of 'My Love From The Star'. In the video Carla posted, you can even hear the Kapuso actress giggling while watching the funny scene of Steffi and her teddy bear. You'll be amazed by how life-like this drawing of Jennylyn Mercado is. The artist shared a 4 minute video of how he created this masterpiece with just the use of colored pencils. Good job! You've got skills man! That's talent you got there. Watch the video below. LOOK: Jennylyn Mercado enters the Top 3 of Billboard Philippines' Top 20 Social Charts. Still No. 1 among Kapuso stars! From fifth last April, Jennylyn Mercado rises to third place for the month of May 2017 on Billboard Philippines' Top 20 Social Charts. The Ultimate Star remains to be the top Kapuso artist on the said chart. Ever wonder why Jennylyn Mercado's skin is looking so radiant lately? Well, the secret is finally out! She thanks Jinju White soap for her smooth, fair, and healthy looking skin. Watch the video below as the Pinay Steffi shares her beauty secret to her Korean-like glowing skin. Now, having a flawless white skin just like your favorite K-drama stars couldn't be more accessible. Experience whitening radiance like never before in as early as 14 days.